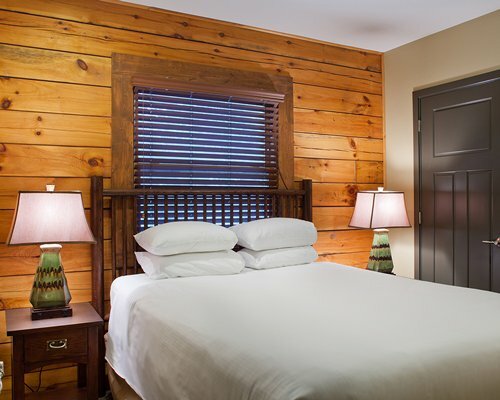 Timbers at Christmas Mountain Village are resort condos that will feel like home. 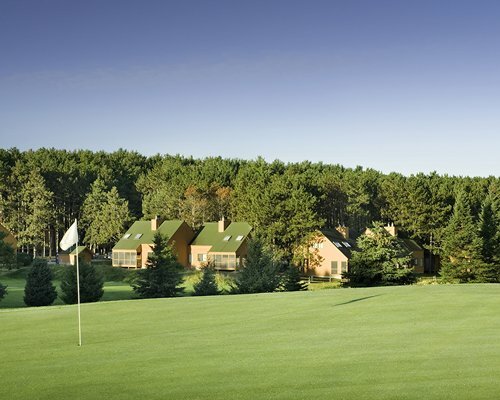 Set in the middle of the Wisconsin Dells, there is so much to do year round. On-site, enjoy the indoor swimming pool or four outdoor pools, tennis court, a hot tub and a playground for the little ones. 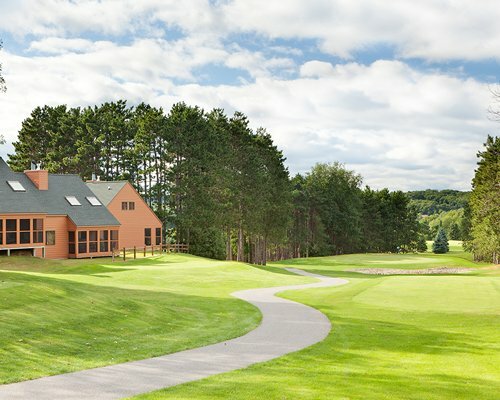 In winter, downhill ski on-site, and play on the 27-hole golf course when the weather heats up. There is a fabulous restaurant at the resort and many more nearby, as well as prime shopping venues and live entertainment. 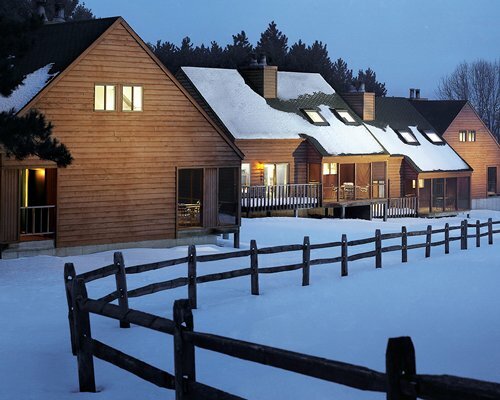 Set like individual homes or cottages, the Timbers at Christmas Mountain Village offer scenic settings and privacy. 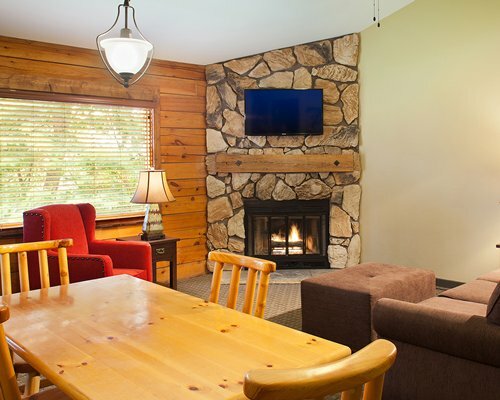 Roomy and decorated in rustic yet comfortable style, they have all the amenities you need for romance, family fun or peace and quiet. Air conditioned for year-round comfort, they also have fireplaces for winter atmosphere and cuddling up (the one bedrom delux timbers do not have fireplaces). 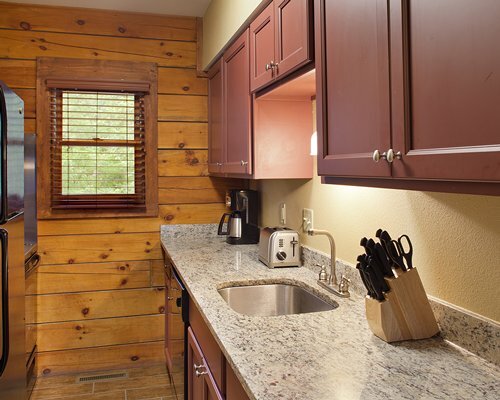 Kitchens are equipped with modern conveniences, and every unit is carpeted for both warmth and style. 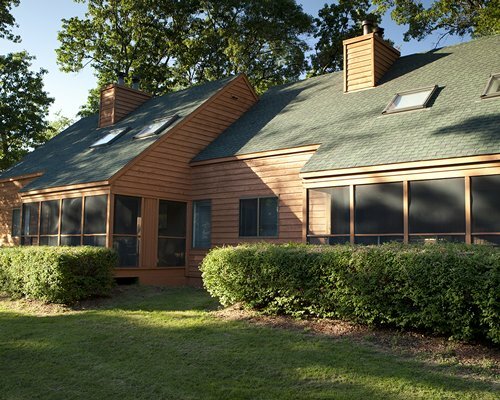 Choose from 1-3 bedrooms depending on your needs. There are many units that have numerouse steep stairs leading to the unit. 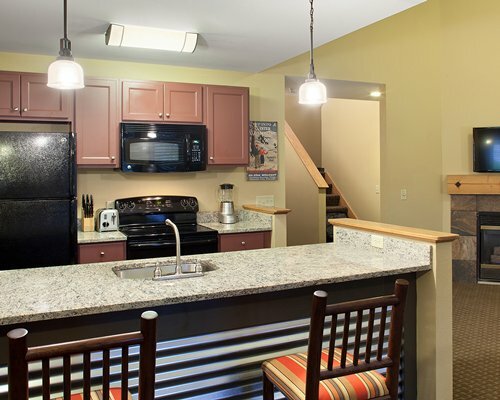 Some of the two and three bedroom units also have many stairs leading to the second level. All unit confirmations are final. No upgrades or changes allowed. 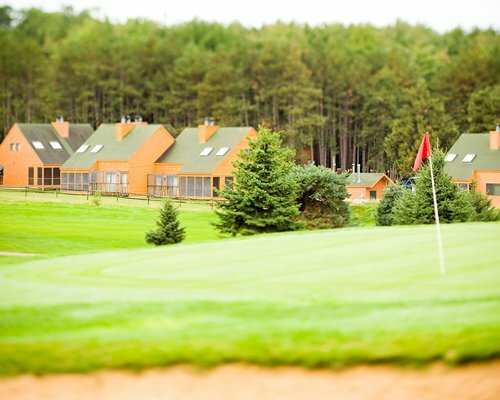 The Timbers at Christmas Mountain Village is the perfect place to explore the Wisconsin Dells any time of year. Christmas is taken very seriously in the mountain village, and the area is a winter paradise of skiing, scenic snow trains, snow tubing, ice fishing and more. It is known as the Indoor Water Park capital, and you can have summer fun indoors at fabulous heated pools, amusement rides and theme parks. In warm weather, explore outdoor water parks, river cruises, golf and hiking. 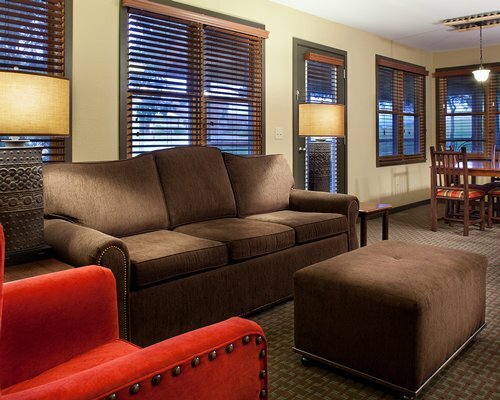 There is lots of live entertainment and fun for couples, singles and the whole family. The nearest major airport is 50 miles away in Madison. From the airport, take Airport Rd (International Lane) 1 mile to Anderson. Turn left (east) and travel 1 1/2 miles to Stoughton Rd (51). Turn left (north) and go 4 miles to I90/94 west. Travel 45 miles to Wisconsin Dells, Exit 87. Turn right onto US Hwy 13. At the first light (County H) turn left and go 4 miles. Resort is on left. FROM I-94: Take Wisconsin Dells Exit 87 (Highway 13) to the first left, which is County Road H. Turn left onto County Road H and proceed 4 miles to the entrance of Christmas Mountain Village. Follow Christmas Mountain Road to the flags. Check in is at Christmas Mountain Resort, registration.